If you are in immediate need for some financial assistance, you might be thinking you need an emergency loan. After all, the fear of not being able to afford your bills and payments on time is definitely an emergency. But, do you really understand what an emergency loan is? 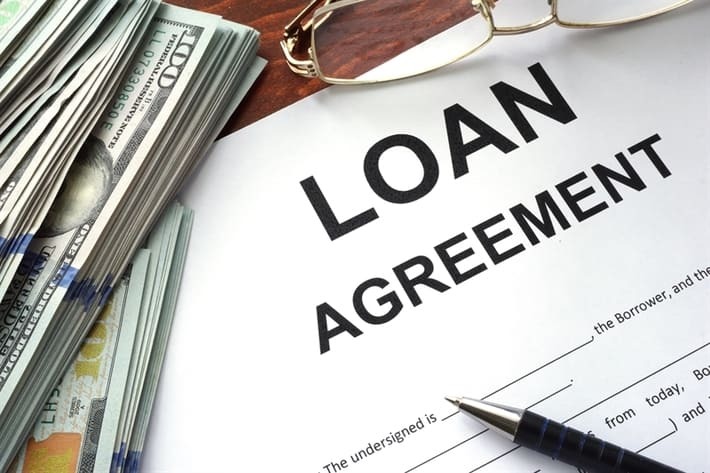 According to the Emergency Loan Law and Legal Definition presented by US Legal, Inc. an emergency loan is, “a loan made to eligible applicants who have incurred substantial financial loss from a disaster.” Although you may feel as if your current financial situation is a disaster, you may want to re-think your circumstances before you make any definitive steps towards this type of loan. An auto title loan from LoanMart may be the perfect solution to your issues. What is an auto title loan? An auto title loan is obtained by using your qualifying vehicle title as collateral to secure your loan. Getting an auto title loan might be a better option for you rather than an emergency loan. Why? With an auto title loan, the circumstances surrounding your financial situation isn’t used as the primary factor when determining your eligibility for a loan. LoanMart won’t turn you away because your financial circumstances aren’t “bad enough,” that’s just crazy! Rather, LoanMart will look at the equity of your vehicle and your ability to repay your loan instead of solely judging your financial situation. Now that you know how an auto title loan may be the best option for you, it is important to know exactly HOW YOU CAN GET AN AUTO TITLE LOAN. The first step is to choose the best lender, and that is LoanMart. LoanMart has been a leader in non-traditional lending for over a decade. We are built on customer-business relations which means we PUT YOUR FIRST. LoanMart is proud of our reputation as a trusted lender, and we have been since we opened up for business in 2002. Check out how you can get funded with a LoanMart auto title loan as soon as the next business day3! Get started on a LoanMart auto title loan today. All you need to do is go online to our homepage and click the “APPLY NOW” link, give us a call at 1-855-422-7412, try our convenient live-chat feature, or come on by to our licensed location to speak with a LoanMart representative in person. Fill out a small information request, it should only take about 5 minutes to complete. You will know right away if you are qualified to proceed with the auto title loan process. Upon approval, your LoanMart auto title loan agent will contact you to discuss your free quote and a few details of your loan contract. Discuss any questions or concerns that you have about the process with your title loan agent. We are here to help you, that’s why we have qualified LoanMart representatives available for you 7 days a week with extended hours. Don’t wait around for a lender to get around to you, at LoanMart we are ready for you NOW! Qualified Title with your name on it (don’t worry if your name is not on your title or if it is not the only name listed, we still may be able to help you). Once you have submitted your documentation to us, we will need to physically verify the condition of your car. We won’t make you waste your time and drive your car out to our location in order for us to verify your car in person, a few pictures will do. You can even take the pictures right from your mobile device and text them to us at 1-818-315-8741. Tip: take the photos of your car outside during the day so your car will look its best. 5. Sign your contract and GET YOUR MONEY! When you sign your contract with us at LoanMart, we will also sign onto your vehicle title as a lienholder. This is so you can keep your car and drive it like normal during your loan period. Then, all that is left is to receive your money. We will never require you to disclose to use your loan spending history. Enjoy your financial freedom with an auto title loan at LoanMart! Next post: What is a Flex Loan?